The Cruiserweight Championship will be on the line at this month's Elimination Chamber pay-per-view. Akira Tozawa defeated Cedric Alexander, Humberto Carrillo, and Lio Rush in a number one contender's fatal four-way elimination match in the main event of Tuesday's episode of 205 Live. Tozawa will challenge for Buddy Murphy's Cruiserweight Championship at Elimination Chamber. Tozawa last eliminated Alexander to win the number one contender's match. 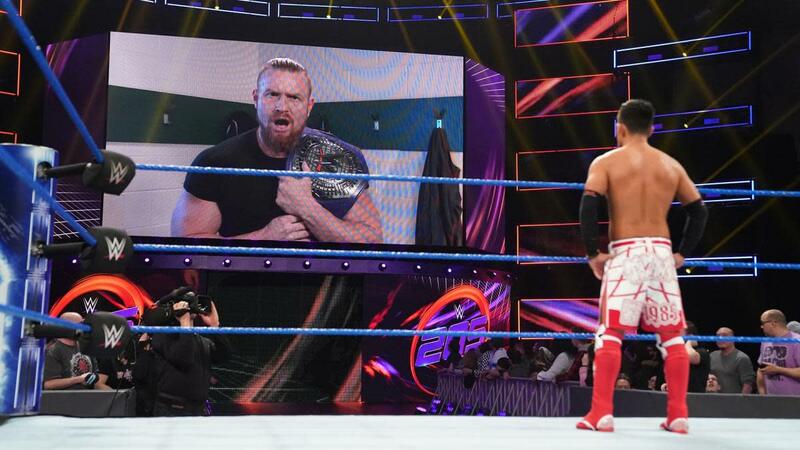 Murphy then cut a promo on the video screen where he said Tozawa was on his path to going on to WrestleMania and cementing his legacy as the greatest cruiserweight of all time. Murphy retained the title against Hideo Itami, Kalisto, and Tozawa in a fatal four-way match on last month's Royal Rumble pre-show.